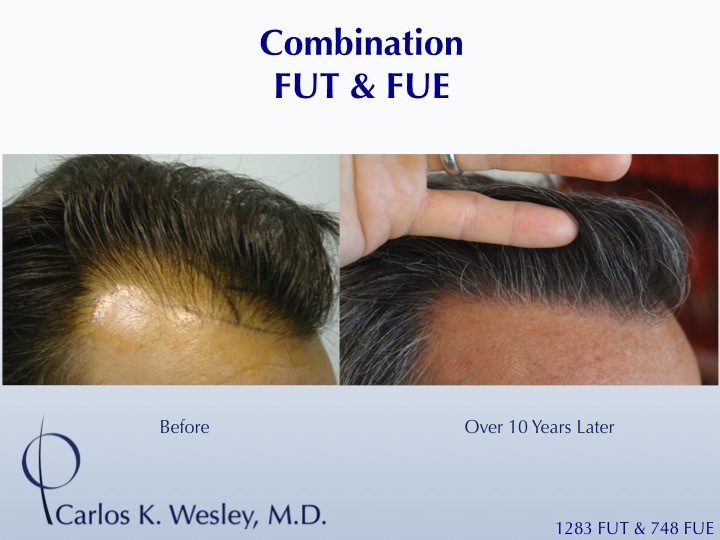 This patient underwent a hair transplant with Coalition hair restoration physician Dr. Carlos Wesley just over 10 years ago. 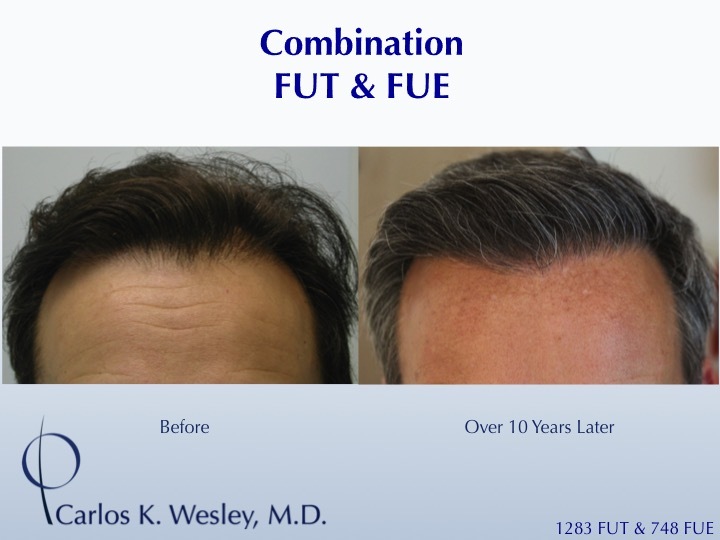 As he was a revision of a prior surgery and desired more density and a healthier looking hairline, a combination of follicular unit strip surgery (FUSS) and follicular unit extraction (FUE) were performed. 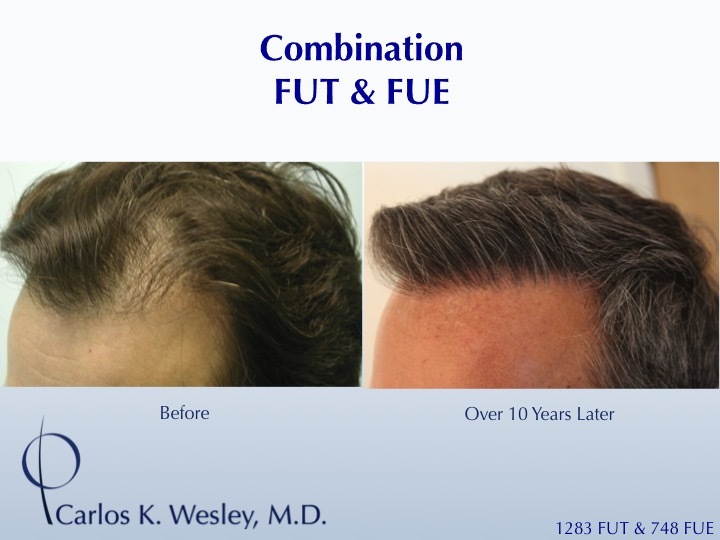 With the strip yielding only 1283 grafts due to the tightness of the scalp, an additional 748 grafts were harvested with FUE (both scalp and beard) in order to improve the overall fullness. The patient returned to see Dr. Wesley about a decade after the procedure was performed and can be seen in the accompanying images. Do Severe Side Effects Persist after Stopping Rogaine (Minoxidil)? When Is It Safe to Color Hair after a Hair Transplant?